Just to make it clear that all opinions, interpretations and politics are mine and mine only. Last week at a new class I'm taking in Matan, Ezra-Nehemiah: Shivat Tzion´s Challenges and Triumphs by, Yael Leibowitz, I felt myself in one of those deja vuexperiences. At least that is what shouted in my mind. And there were some agreeing laughs when I said some mangled version of the line in class. There are so many parallels in today's controversies surrounding the Temple Mount, establishing Jewish communities and building in Judea, Samaria, Jordan Valley etc. 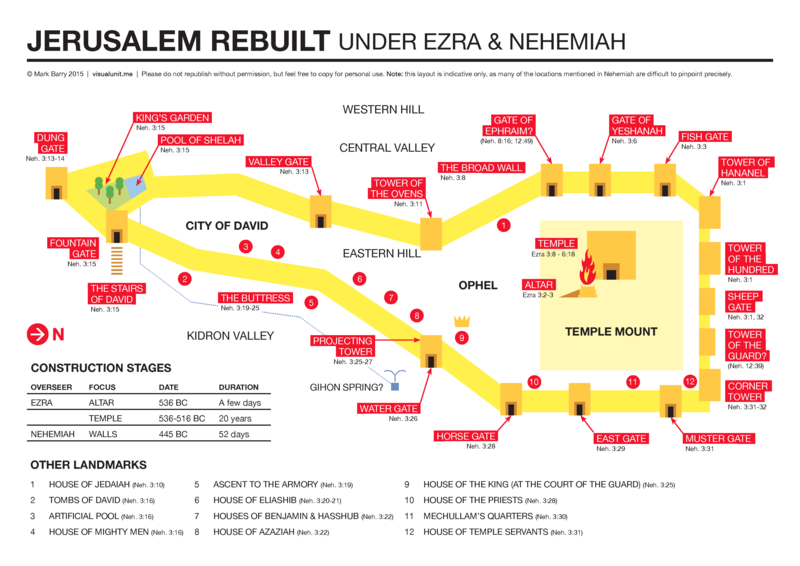 In the Ezra-Nechemia era, like today Jewish leaders feared building and made all sorts of excuses for not building. And on the other side there were those who insisted that building would prevent and solve the poverty and terrorism of the time. The Prophet Chagai made it clear that building the Temple would bring prosperity. And during last week's lesson, I couldn't stop thinking of my feelings about all of the towns, cities and communities named after people murdered by terrorists. If only we had built them earlier, then those good Jews would not have been murdered. More recently, in June, 1967, if after the Six Days War, if we had begun building the Third Jewish Temple, instead of handing the keys of the Temple Mount over to the wakf, we would now be living in true PEACE!